Welcome to the Robert Summers Studio. 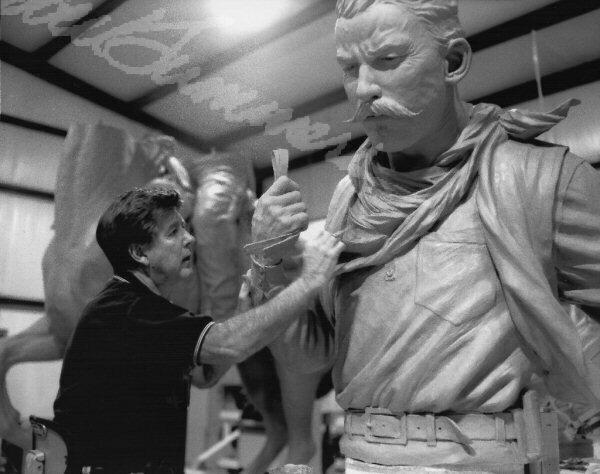 Robert Summers is a nationally known sculptor of Monuments of epic dimensions. He also sculpts smaller bronzes. Robert is also a very well known painter of western, Civil War and other subjects. If you are looking for someone to create a stunning major monument such as the John Wayne at the Orange County Airport or are looking for some smaller bronze sculptures or Paintings or Prints from one of the best known and highly celebrated artists of our time, please take a look around this Robert Summers home site. The menu above is designed to let you get around the web site quickly. Hopefully you will enjoy the time you spend with us and come back soon.